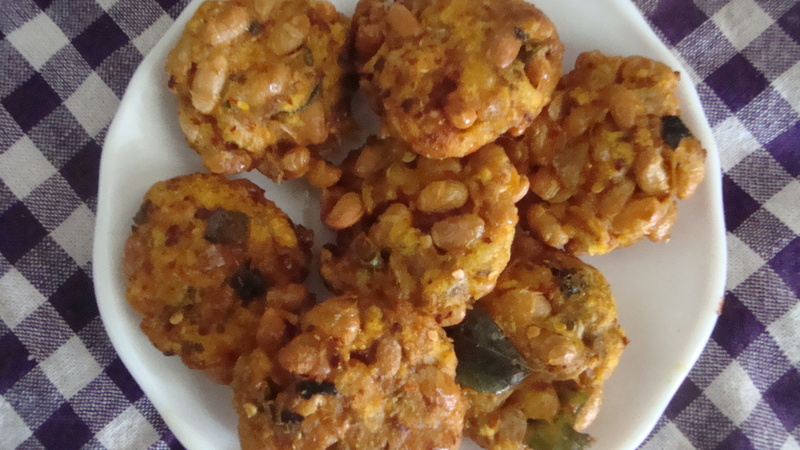 While soya bean is not so commonly cooked at home, we had some leftover soya beans from one of my cooking experiments. 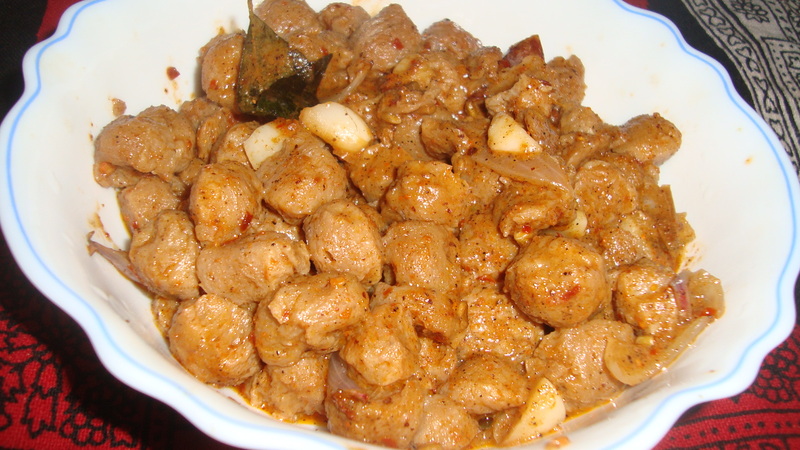 My mother therefore decided to cook up a few soya bean dishes over the week. 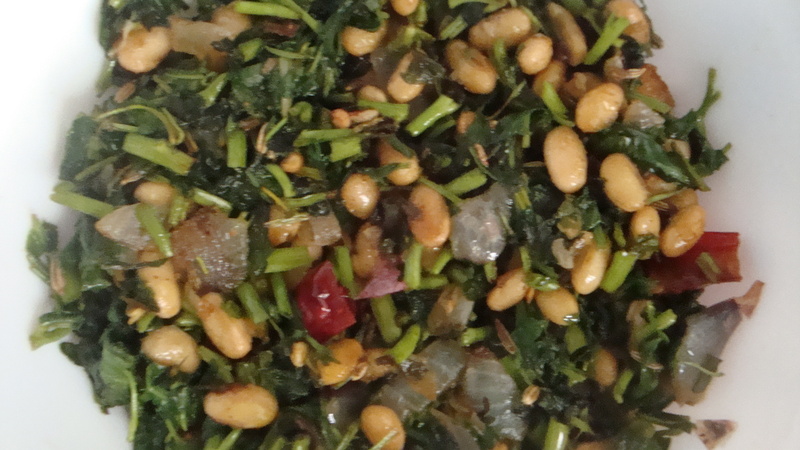 So, the key ingredient of the recipes on this blog for the next few days will be soya beans. Soak the soya beans overnight and then rinse and cook the beans with water for 30 mins. Drain and grind the cooked soya beans in a blender for about 2 mins. Transfer the ground soya beans to a mixing bowl and add the turmeric powder, chilli powder and salt, to taste. Mix well and keep aside. Heat 2 tbsp oil in a pan and lightly fry the chopped onion, chillies, curry leaves and fennel seeds for a minute. Add the seasoned, ground soya bean mixture to the pan and stir fry for about 5 – 10 mins. Add the scraped coconut. Mix well and cook for about 2 mins. 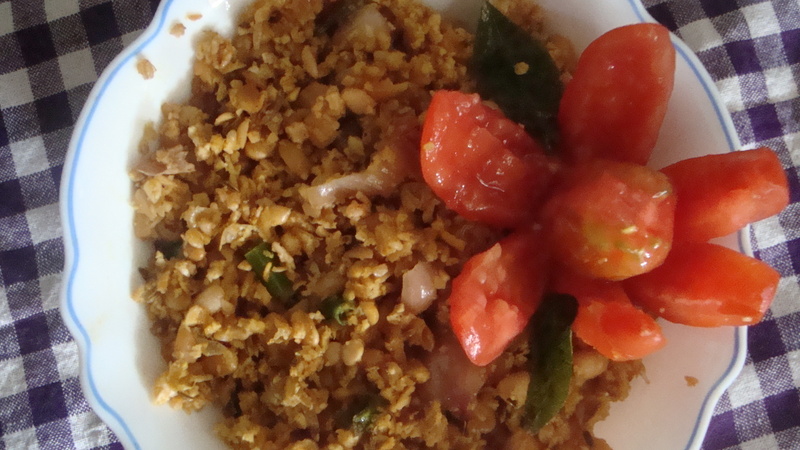 Serve the soya bean crumble with rice. In the late 70s and early 80s, a lot of research was done in Sri Lanka on processed soyabeans as a means to alleviate protein deficiency amongst children and pregnant and lactating mothers. 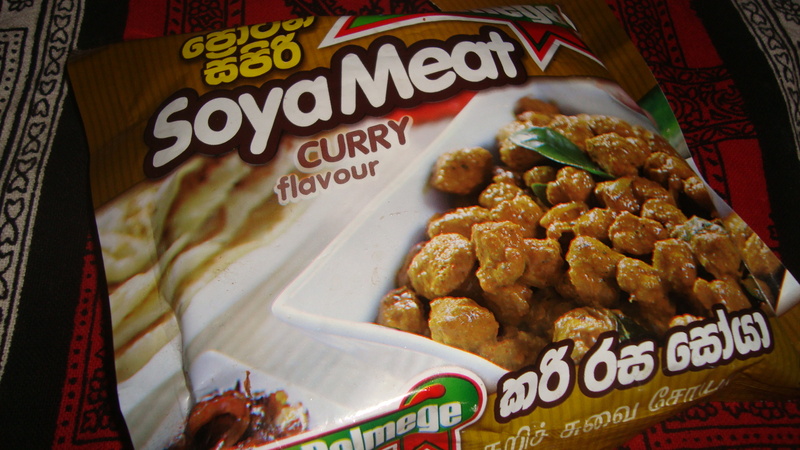 Soyameat was soon introduced in the market and promoted by the health ministry and the new and affordable food product became a hit in Sri Lankan households. 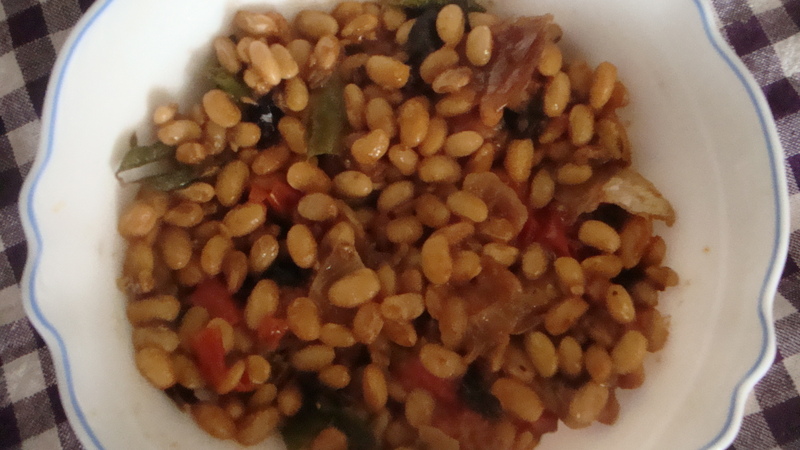 Today, I will share two ways my mother makes soyameat at home. In a bowl, Add 1 cup of boiling water and add the soyameat chunks. Add some salt and let the soya chunks soak for around 5 minutes. Drain out the water and keep aside. Heat 1 tbsp oil in a pan and fry the chopped onion, ginger, garlic and curry leaves and rampe with the fenugreek seeds for a minute or two. Then, add the soaked and drained soyameat chunks and mix well. Add the curry powder (you can alternatively use the curry powder mix that comes with the packet) and the coconut or non-fat milk. Let the curry cook for about 10 mins. Adjust salt, if required. Oil – 1 tsp (for marinating) + for deep-frying. In a bowl, Add 1 cup of boiling water and add the soyameat chunks. Add some salt and let the soya chunks soak for around 10 minutes. Drain some of the water (not needed to have it dry) and keep aside. Heat 1 tsp oil in a pan and fry the chopped onion, ginger, garlic and curry leaves for a minute. Add the lightly drained soyameat chunks and mix well for a couple of minutes. Remove from heat and keep aside, allowing it to marinate. 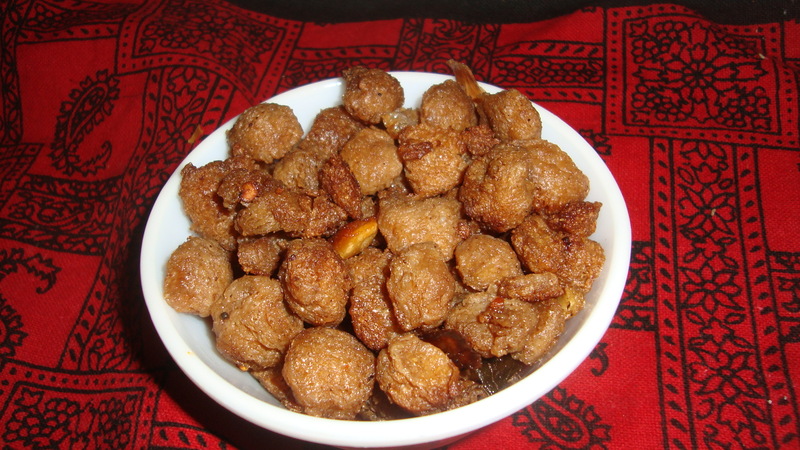 When cooled, squeeze out the liquid (excess water or oil) from the marinated soyameat mixture and deep-fry in a pan.